Need to be: Daren N. Dashing, Annie Mossity, Robin Banks, Bella Thaball or Ima Gonner? Want the help of super sleuth Sherlock? 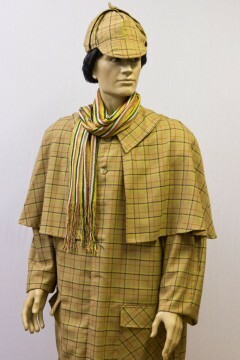 Whatever the murder mystery theme – we have a great selection of costumes to suit every character. So, we should have the outfit for you. If you have a specific fancy dress item to get why not give us a call and we can advise you on the costumes that we have to hire or buy.